EXCLUSIVE! 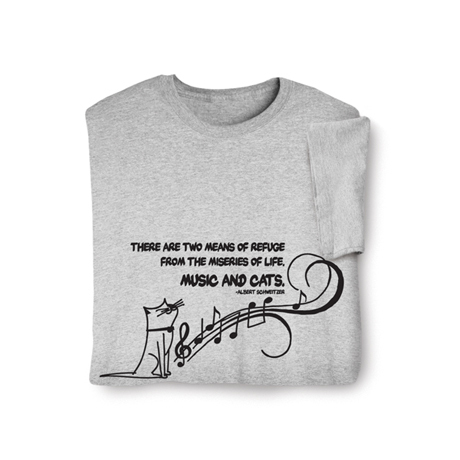 "There are two means of refuge from the miseries of life: Music and cats." 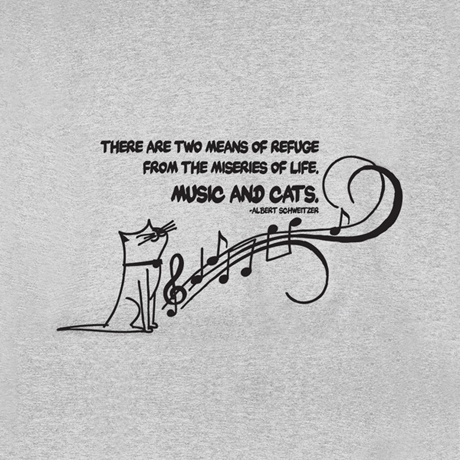 - Albert Schweitzer. The Nobel Peace Prize winner and great humanitarian famously adored his cats Sizi and Piccolo. Sport Gray sweatshirt is 50/50 cotton blend; T-shirt is preshrunk 100% cotton. Sizes M-XXL. Imported.